“Growth does not necessarily equate to health,” said Amy Ciarametaro, Executive Director for the Virginia Distillers Association while discussing the current state of the Virginia distilled spirits industry and the newly released 2018 Economic and Regulatory Analysis of Virginia’s Distilled Spirits Industry. In 2017, Virginia Distillers impact on the Virginia economy was more than $163 million. Virginia Distillers employ nearly 2,000 individuals directly and indirectly. Virginia Distillers attract some 297K tourists annually, who spent more than $43 million in 2017. Virginia Distillers have grown by 433 percent since 2012. Virginia Distilleries are projected to spend more than $85 million in capital investments in the Commonwealth over the next three years. “This data paints an impressive initial picture, but when you analyze the numbers and the overall challenges of selling products through the state control system, it becomes clear that our industry’s health is fragile and Virginia distillers disproportionality fund state government,” said Ciarametaro. On Thursday, January 25th, Virginia distillers gathered in Richmond to meet with Governor Ralph Northam (photo below) and 31 delegates, senators, state officials to champion support for the industry during their second Annual Legislative Day. 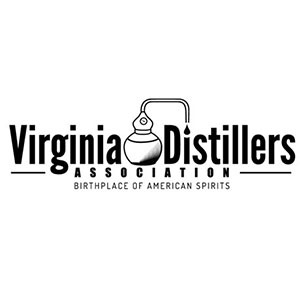 “Distilled spirits are the only consumer good where our state government is an active market participant,” said Gareth H. Moore, VDA President and CEO of Virginia Distillery Co.
Virginia distilleries are considered Virginia ABC stores, and as a result have to abide by the state markup structure including ABC’s 69 percent markup and 20 percent excise tax – regardless of whether the bottles are sold their distillery store, or at their local ABC store. Subsequently, distillery store operators shoulder 100 percent of the expenses for operations (e.g. employees, overhead, credit card processing machines, etc.). In exchange, they receive a commission of 8 percent of sales for product sold at distillery stores. That commission was formerly 15 percent, but was reduced to 0 percent, then 8 percent in 2014 by ABC. As a result, even with the 8 percent commission distillery stores render a higher rate of return to the state at 40.52 percent vs. 35.03 percent for the state’s own government ABC stores.” See p. 34 of Virginia ABC’s 2017 fiscal report for further information. Additionally, distilleries have to purchase their own bottles to sample for consumers in their own tasting room or at one of four special events they are licensed to participate in each year. This means paying ABC’s 69 percent markup and 20 percent excise tax for bottle samples on product that never leaves the production site. Then 100 percent of all revenues have to be transferred to Virginia ABC (including both bottle samples and all consumer sales) with profits being returned 30-60 days later, creating cash flow burdens. “Managing on-site samples and sales is one of the most costly expenses for our distillery store operations,” said Scott Harris of Catoctin Creek. Catoctin Creek, like most Virginia distilleries, focuses on using Virginia agriculture as the foundation for their distilled spirits production. The Economic Report also points out that more than 70 percent of all grains and agricultural products used in production of Virginia distilled spirits are sourced from Virginia farms. “As Virginia spirits sales continue to grow, the indirect effect on Virginia agriculture will undoubtedly increase as well,” Harris added. Virginia has the second highest excise tax for distilled spirits in the nation, at 20 percent of the retail shelf price ($30.88/gal for distilled spirits for a bottle that retails for $30.59 excluding Virginia sales tax). On a per gallon basis, this is more than 19 times greater than the state excise tax on table wine ($1.51/gal), and 117 times greater than the state excise tax on beer ($0.26/gal). The Virginia Distillers Association is following several bills closely throughout the 2018 general assembly session. “We’re eager for conversations with the new administration and our friends at Virginia ABC about how fiscal support may play out, whether it involves increasing the commission, removing the markup on sample bottles or other fiscal vehicles is to be determined,” said Moore.